A dream setting between the sea and the countryside. 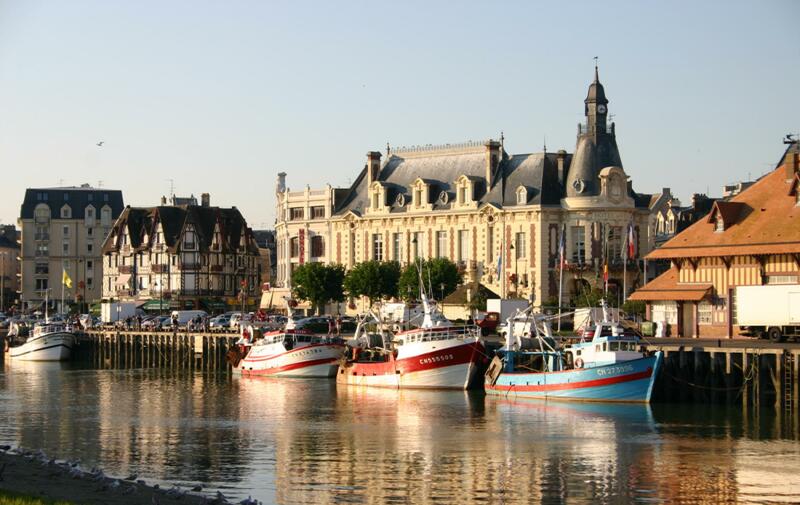 A seaside resort on the “Côte fleurie” 15 mintues away from our domain, Trouville owes its reputation to the charm of its fishing port, its beautiful long beach of fine sand, and its rich architectural heritage. 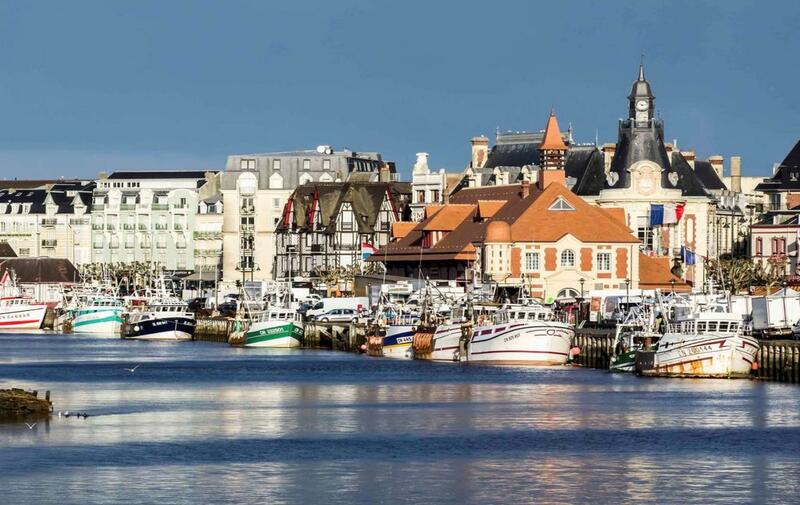 An emblematic fish market, a century-old casino, a succession of 19th century seaside villas, narrow alleys lined with fishermen’s houses, as well as a wide range of cultural entertainments and sports throughout the year, all of which makes Trouville a vibrant resort and an ideal destination both for family holidays and romantic escapades. It is indeed a young Parisian painter, Charles Mozin, who, seduced by the dunes and the still virgin nature, will make the fame in the Salon Carré du Louvre.The beautiful beach of Trouville and the baths of sea are a novelty at this time of the Second Empire, and attract each year a crowd of tourists and artists. In the 19th century, she is crowned "Queen of Beaches"
Entirely covered with fine sand and seashells, the beach extends over 1200m. It is one of the few of the Côte Fleurie to be lined with sumptuous villas, built between 1860 and 1880 and each presenting a different architectural style, according to the inspirations of the moment.The boardwalk "Savignac", built in 1867, along the beach on a length of 925 meters and invites the stroller to stroll. The listing of the historical monuments of Villa Montebello and Roches Noires make this unique place a protected site. 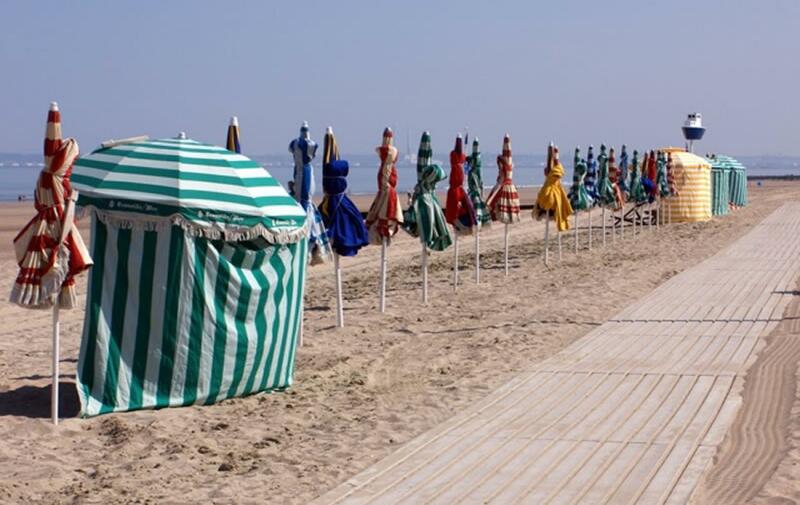 On the beach, a multitude of leisures make the happiness of the families: the swimming pool, the sailing club, the tennis, the mini-golf and the pony towers, the petanque grounds, the beach club for young and old .. .
On the cultural side, Trouville also has some nice discoveries to offer. 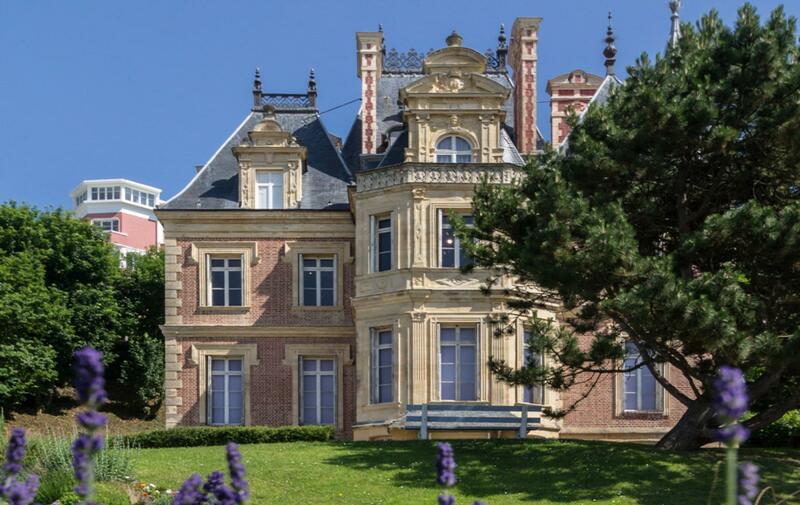 It has art galeries open all year round, its town hall occasionally opens with temporary expositions and it has various historical sites such as the Aquesseau castle, the Montebello villa or the Halle aux Poissons. You should be able to learn and admire a thing or two in this little seaside town.